How do I "Break Up" with a Friend? How do I “Break Up” with a Friend? If you are wanting to distance yourself from a friend, chances are you probably don’t view them as much of a friend any longer. Perhaps you still care for them, but for various reasons, it may no longer be healthy for you to have them in your life in a friendship capacity. Several core elements comprise a friendship including fun, trust, respect, support, and a balance of giving of taking, listening and talking. Even when some or all of these things are present, other behaviors or traits can make it difficult to continue a friendship. Among the more serious matters include opposing value differences, substance abuse, lying or simply following a life path that is incompatible with your own. There may also be minor issues that lead people to stop wanting to spend time with someone such as mismatches of personalities, and various annoyances or irritabilities you might feel toward someone. But, usually the minor things prevent friendships from forming and the more significant issues lead to their end. It’s very important to honor yourself and heed attention to issues related to friendships. Yes, it’s always good to “check yourself” and make sure you’re not passing judgment too harshly and quickly or projecting your own lack of resolve on someone else, but past that, it’s important to keep only healthy friendships in your inner circle. Setting good boundaries for yourself in order to stay at your best is crucial and guarding healthy relationships and weeding out unhealthy and dysfunctional friendships is good practice. Once you notice a quality or behavior in a friend that feels too much to ignore, there are a few choices you have. The first is to ignore it and take a passive approach. This is not good for you, your friend or the relationship. The typical result is resentment that builds on your part as you try and ignore something you can’t integrate. The second approach is a more aggressive one and usually takes the form of criticism and blame. This does not go over well either as the other person will most likely react defensively, your message won’t be heard and a conflict will ensue. The approach I recommend is one of openness and directness. Rule of thumb is to communicate what you feel and what you want. Your feelings may be discomfort, sadness, feeling disrespected, uncared for, etc. 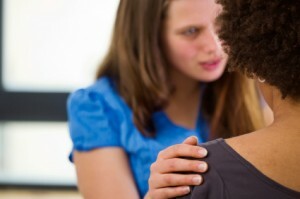 Follow up the feeling by asking your friend if they can change their behavior to alleviate your feeling. You have every right to ask this and what they do with your request is up to them and this further defines the compatibility of the friendship. But, if you tell them how you feel about something they do, it’s much harder to have conflict than if you tell them what they did “wrong”. For example, if your friend often stands you up and doesn’t follow through on engagements set with you and you tell them they are “always late and undependable”, they will most likely become defensive. If you tell them you feel frustrated and unimportant if they don’t follow through with engagements and ask them if they could make an effort to follow through, that’s far more difficult to argue with. Most people have a hard time arguing with a person’s feelings but it’s easy to argue if they are accused of something. After communicating your feelings, you’ll have an indication of what course the friendship is taking. In many cases, friends don’t understand the impact of their behaviors and change their behaviors around you to improve the relationship. In other instances, a person will hear your position and care about it, but won’t change their behaviors because it’s too difficult for them or they don’t want to change. In rarer instances, even when you communicate your feelings well, the friend will still react defensively and turn the situation around and put the blame or problem back on you. These friends are normally “underfunctioning” and entitled when it comes to relationships, very wounded emotionally or narcissistic to some degree. Some people feel guilty when setting boundaries for themselves and for asking what they want in relationships. Boundaries are paramount to healthy relationships of any sort. A healthy friendship requires each person being accountable to themselves and communicating their needs to one another. If done so with respect, kindness and without criticism, what the other person feels as a consequence is not the speaker’s “fault”. If we live feeling responsible for what others feel continually, we will forever be changing ourselves for another and will lose our character and authenticity. Communicating our truth helps our friends know us for who we are and it helps forge a true friendship. If our truth uncovers incompatibility, it helps end or redefine a friendship. Communicating how we are effected by another person’s behaviors also helps that person understand how their behaviors impact and effect others. There are times a person is not aware the impact their actions have, and if a friend informs them they have the chance to change. If you don’t tell someone you care about how you are effected, neither the relationship or the friend have much of a chance of redefinition and growth. If the behaviors continue after you communicate your needs and feelings to your friend, you may have to redefine or end the friendship. Only you know how incompatible the behavior is to the relationship. For some, they can pull back and make the friendship more of an acquaintanceship. For others, the incompatibility may be so great they have to end the friendship. Honesty and openness are still valuable here as you have the opportunity to leave the relationship being better understood and the friend is able to understand the real impact his/her behaviors had on another person. They may do nothing with that information, but it may serve as a seed that will take root at a later time.